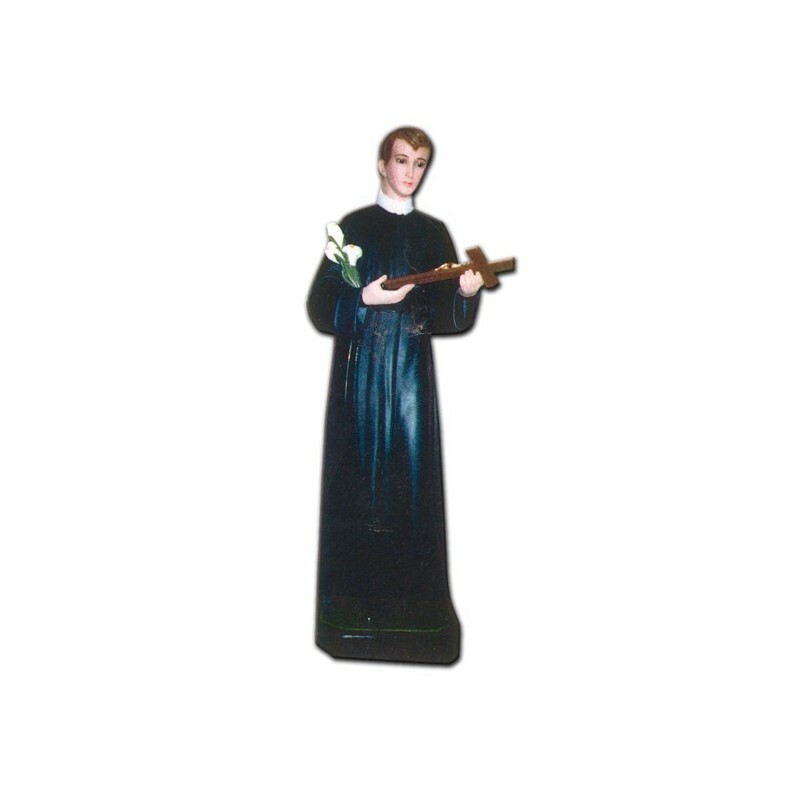 Statue of Saint Gerard of 125 cm. Statue of Saint Gerard, 125 cm of fiberglass, handmade in Italy. Saint Gerard of Maiella was born on the 6th of April 1726 in Muro Lucano, near Potenza. He died on the 16th of February 1755 in Materdomini, near Avellino. He was very young when he asked to be received as a laic brother in the Redemptorists. In the monastery he continued to exercise his job as tailor, when Alphonsus de Liguori noticed him and abbreviated his novitiate. The extraordinary life of Gerard was enriched from various supernatural phenomenons : the reading of the consciences, the prophecies, the food’s multiplication etc. He was canonized in 1904. He is illustrated as a young boy, with a black clothing, with a crucifix and a lil in the hands. Big star tip of golden brass, cm. 11x16.